Not only does HHS Uitgeverij import books, it also produces it’s own publications. 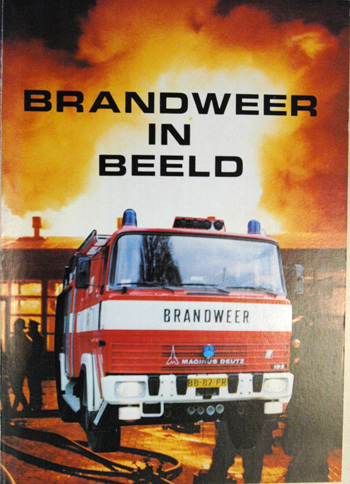 ’Brandweer in Beeld’ in 1982, being one of the first. 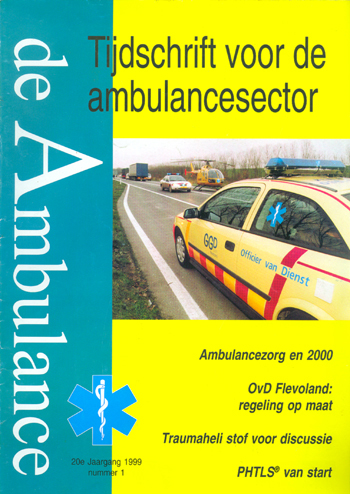 In 1979 a professional magazine was created for ambulance and emergency medical services. Since 2011, SDU, as well as the ambulance and disaster medicine address book that was first published in 1992, have taken over publishing the magazine. Piet Hoving and Mieke Janssen laid the foundation of HHS Uitgeverij, in 1975 in Nijmegen. 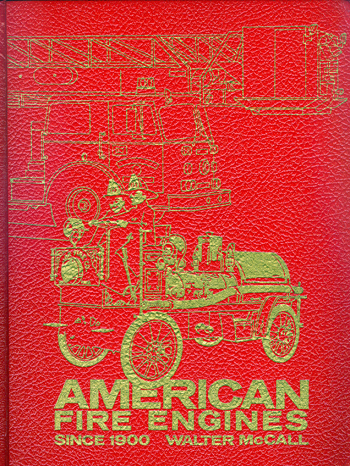 They started the sales unit of the Dutch branch of the British “The Fire Brigade Society’” (which had been established that year by Gerard Koppers), the purpose of which was to import and sell miniature fire engines and fire books that were not available in The Netherlands. 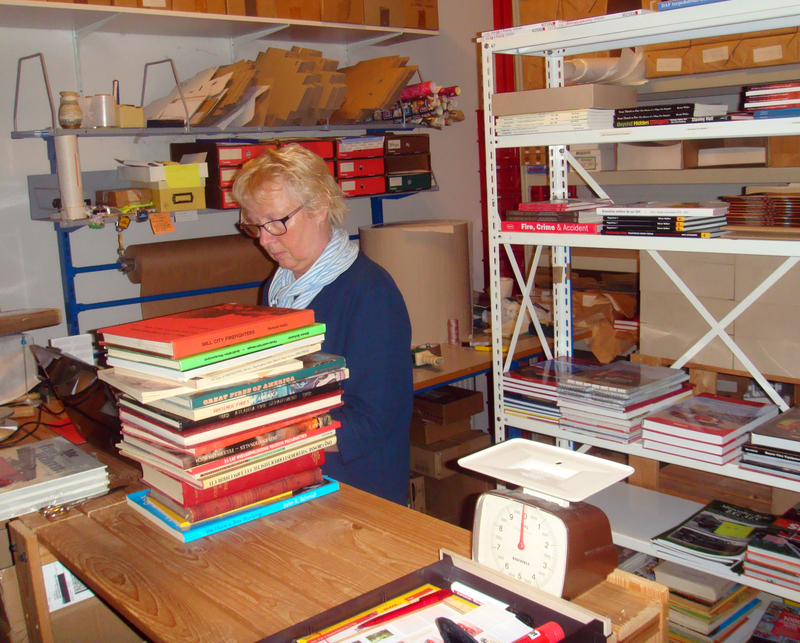 Commencing with the second edition of 1976, Piet and Mieke took over the editorial office and layout of the Dutch branch periodical ‘De Brandweerhobbyïst’, with support from Frans de Waal, which until then, had been carried out by Gerard Koppers. The magazine was stenciled at a school in Amsterdam. Stenciling was an early form of digital printing, but of a far lower quality. The ‘typesetting’ was done using the Scheidegger typewriter on which Mieke had achieved her typewriting diploma at the secondary school. In November 1976 the Dutch branch became an independent Dutch association. On 1st March 1977 Piet and Mieke listed their activities as a business. This was registered at the Chamber of commerce as ‘Holland Hobby Sales’. Both did the work for Holland Hobby Sales, at the same time as studying to become registered nurses. As stenciling of the magazine in Amsterdam was no longer possible, it was an obvious move to locate both production and shipment in Nijmegen. Therefore Holland Hobby Sales bought the necessary equipment to do so in September 1977. The second hand car that was bought earlier had cost a lot less. Because it was not possible to print photos by stenciling and the quality was not what was desired, it was decided in 1979 to fully print the magazine. This became financially possible because of the huge growth in the number of members and subscribers. Piet de Kleijn, the owner of the printing company ‘Drukkerij De Kleijn’ in Wijchen at that time, was of great help. Mieke could now do the typesetting on an IBM ‘composer’. Over the following years, Mieke became familiar with the consecutive techniques in preparing print: from actual cutting and pasting on a light box, to cutting and pasting on the computer screen, from stenciling to composer, to PageMaker to InDesign. The rise in the number of specialized model shops lead in 1986, to the decision to no longer sell model cars, the core business then became publishing and book sales. Holland Hobby Sales became HHS Uitgeverij in September 1986. 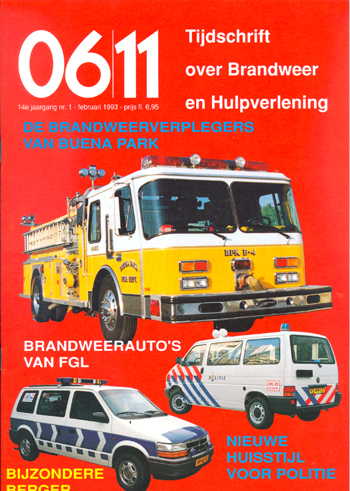 As a result of new jobs with the ambulance service in Grave, Holland Hobby Sales also moved to Grave in 1984. 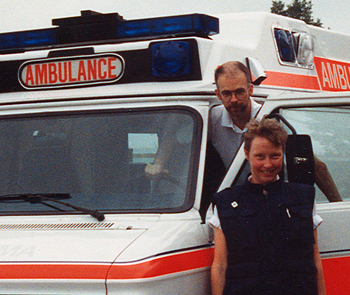 In 1994 the activities were relocated in a new building in Velp, a village in the district of Grave, which since then has also housed the ambulance service. Part of warehousing and shipping.